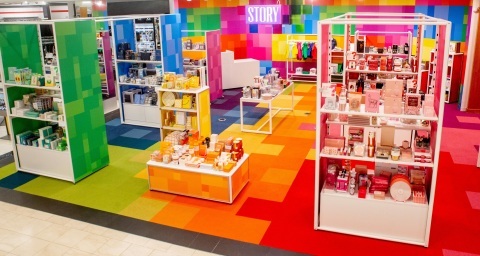 A look at the first Story concept shop now in 36 Macy's locations. The narrative-driven retail concept shop Story has opened in 36 Macy’s stores nationwide. The new shops, which average 1,500-square-feet in size, have “Color” as the inaugural theme—tapping right into the hue-hungry Instagram era. The shops will be available to peruse through June 26, with a range of more than 300 color-inspired events on the calendar….